While the quality isn’t terrific, and the first half-minute or so, when Georgie runs through the soaked gutters and takes a fall, is trimmed, the extended clip of the new big screen adaptation of It that aired before the screening of Annabelle: Creation, is worth a look. 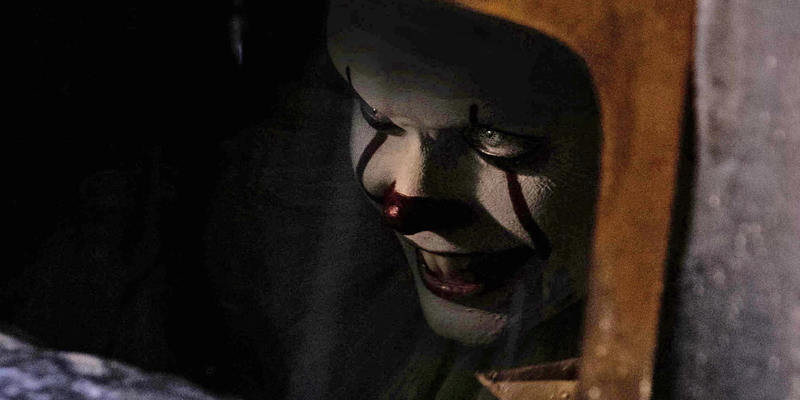 You’ll hear more Pennywise dialog in this scene than any other we’ve witnessed thus far, and it must be said, Bill Skarsgård does an impressive job with the character! Watch the clip – in the best video quality we’ve got readily accessible, as of now – below. And remember, It arrives in theaters on September 8th. Andrés Muschietti directs from a screenplay written by Chase Palmer and Gary Dauberman. Jaeden Lieberher (Midnight Special), Bill Skarsgård (Hemlock Grove), Finn Wolfhard (Supernatural), Jack Dylan Grazer (Tales of Halloween), Wyatt Oleff (Guardians of the Galaxy), Chosen Jacobs (Hawaii Five-0), Sophia Lillis (37), and Jeremy Ray Taylor (Ant-Man) star. In the Town of Derry, the local kids are disappearing one by one, leaving behind torn body parts/remains. In a place known as ‘The Barrens’, a group of seven kids are united by their horrifying and strange encounters with a clown called Pennywise. Bill Denborough has a personal vendetta with the clown. 27 years after their last encounter with Pennywise, the ‘Losers Club’ has regrouped from their successful lives and businesses because IT has returned and kids are disappearing again. The only problem is that they have all forgotten what occurred that summer. It’s up to The Losers Club to regain their memories, to think of the key to killing Pennywise, and to stay alive long enough to end his tyranny but to also realise what brought them together in the first place.